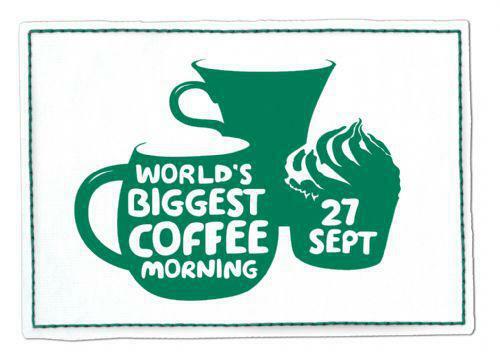 On Friday 27th September the P1, P1/2 and P2 classes led by Mrs Moore, Miss Ferris and Mrs Chapman organinsed an extremely successful coffee morning for pupils, parents, carers and staff in aid of Macmillan Cancer Support. 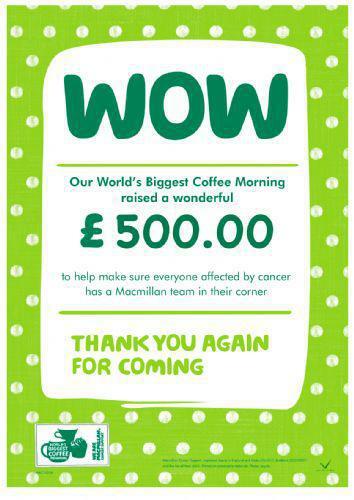 A total of £500 was raised by all involved - more than double the amount raised last year. To all who baked, supported, attended, contributed, poured coffee, served cakes, set up the hall and cleared everything away again, thank you very, very much.